When it’s renovation time, remember to “expect the unexpected.” Smart planning is the key to a successful renovation because unexpected surprises can throw you over budget and off schedule. Read the article to learn more! Thinking about future conversion prospects during the design and construction phases of a hotel project can extend the longevity of the structure. Select-service products in the branded upper-midscale and upscale segments continue to dominate the hotel construction pipeline, and for good reason. Hotel owners seeking to renovate instead of build are investing capital expenditure dollars into common areas like lobbies, fitness centers and breakfast spaces. Hotel development and renovation experts weigh in on the traits that separate truly great project managers from the rest of the pack. 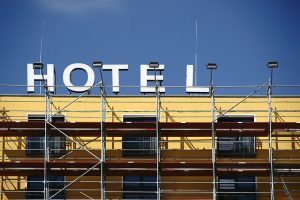 Hotel renovation experts share their insights on property-improvement plans and offer some advice on how to make them more palatable. The process of converting an existing property, while maintaining brand standards, can be daunting, but proper planning will ensure success. Don’t look for the trend of rising construction costs to reverse anytime soon. Here are some reasons why. Today, many cities have prominent structures with a solid physical plant in excellent locations. 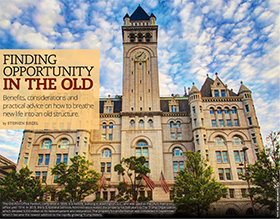 These buildings can be an excellent fit for redevelopment through public-private partnerships. Stephen is President of H-CPM (Hospitality CPM), a construction project management and owner representation firm specializing in managing hotel renovations, conversions, repositioning and new construction projects. Prior to H-CPM, Stephen served as VP of Construction for Prime Hospitality and was responsible for over $1.0B in new hotel construction and managing capital improvement for a portfolio of over 200 hotels. Stephen holds a Bachelors & Masters Degree in Construction Management from the University of Florida. How the 2008 recession affected his construction management company when most properties didn’t have the access to capital, and how the pipeline for deferred maintenance and construction projects filled rapidly when money started flowing. What he would do differently for the next economic downturn, and what he recommends hoteliers do now to be proactive. The Due Diligence process for acquisitions, property improvement plans (PIPs), brand standards, and the many ways they assist owners throughout the process. Conversions, new construction projects, and how they make it work despite the rising costs of construction these days. Doing feasibility studies to make sure proposed projects can withstand a significant, prolonged drop in revenue. What happens when things go wrong, whether that be delays, budget overages, product failure, etc. 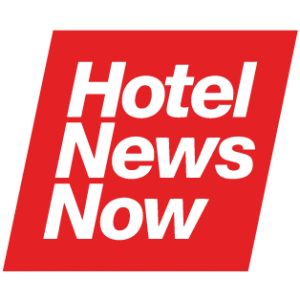 FAIRFIELD, NJ—Hospitality Construction Project Management (h-cpm) has completed an all-inclusive renovation of the Homewood Suites by Hilton hotel in Mt. Pleasant, SC. According to Stephen Siegel, president of h-cpm, the renovation is in line with Hilton’s “Take Flight” design model, one that places an emphasis on creating a community feel and providing additional areas for guests to plug in, connect, and relax.Renovations were done to the entire hotel, including each of the 107 guestrooms. The four-story Homewood Suites by Hilton hotel, located at 1998 Riviera Dr., Mt. Pleasant, SC, is near shopping, restaurants, the beaches of Isle of Palm and Sullivan’s Island, Patriot’s Point, Ft. Sumter and downtown Charleston.“This comprehensive renovation is a great example of our commitment to providing our owner partners and their property guests with the highest quality accommodations,” said Siegel.